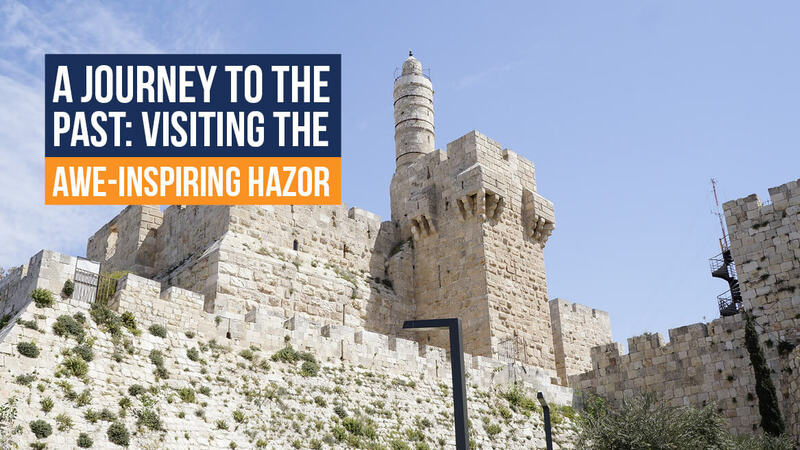 If you wish to travel some 3-4,000 years into the past while on your escorted tour to Israel, we’ve got just the place for you! Hazor was a very important city, located in the Upper Galilee, in the southern Hula Valley, on the ancient trade route through Syria to Babylon, linking Egypt with Syria, Anatolia, and Mesopotamia. In the Book of Joshua, Hazor is described as “the head of all those kingdoms”. A major fire was caused either by Joshua or by the people from the lower city who rebelled, devastating the city, which soon collapsed. 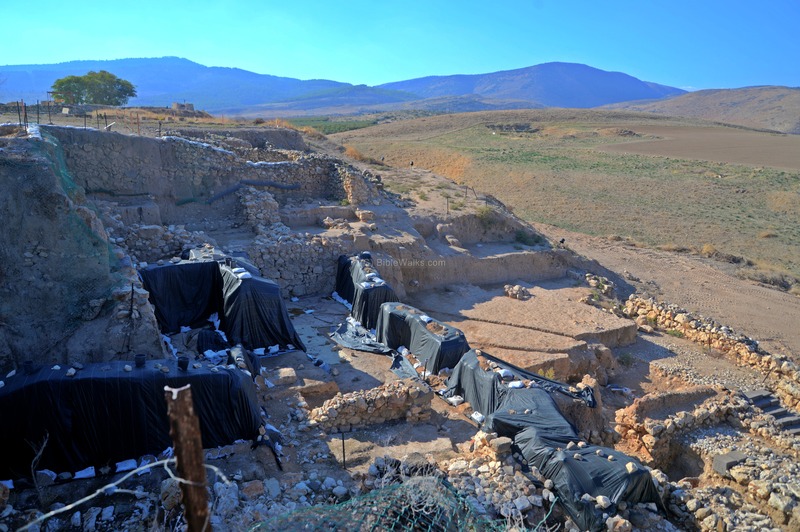 Today, you’ll find the Tel Hazor National Park on the site, and the museum in the nearby Kibbutz, Ayelet HaShahar, home to various archaeological findings. Other artifacts are displayed in the Israel Museum in Jerusalem. Hazor consisted of two parts: the Acropolis (upper city), with about 1,000 inhabitants, covering 12 hectares, and the lower city, with about 20,000 inhabitants, covering about 70 hectares. Twenty-one layers were discovered, proving that this huge city remained relevant for centuries and was rebuilt many times. It’s still very much an active archaeological site, and every summer Israeli and international students dig here as part of their studies. While the city is being uncovered, you can see the already excavated structures that are over 2,500 years old! 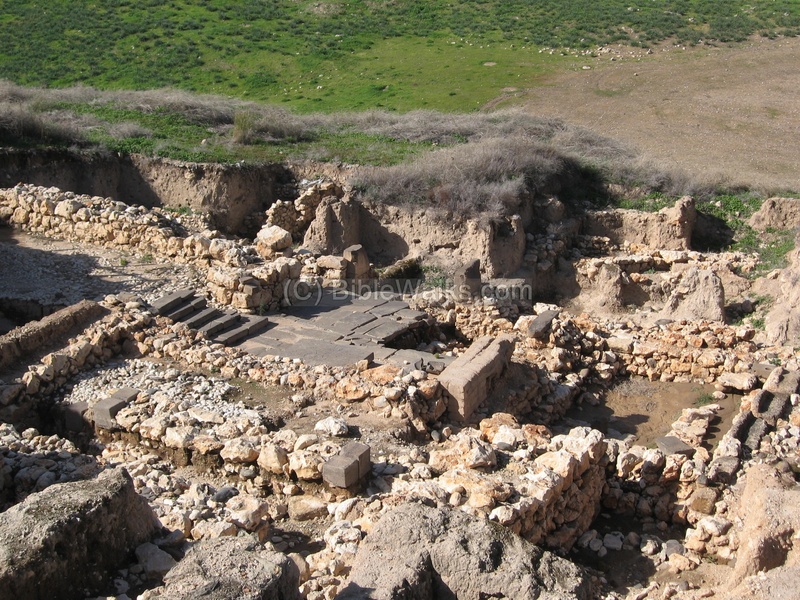 The lower city is a huge area located north of the upper city, across the Hazor valley, surrounded by a fortification and a narrow strip, inhabited from the 18th to the 13th centuries BCE. While the visit to Hazor mostly focuses on the upper city, there are quite a few important structures excavated in the lower city as well: a 13-14th century BCE Canaanite temple with statues; 18th-13th centuries BCE Canaanite temples, the gates, and the remains of structures, tombs, and pits. The basalt stairs that led from the upper to the lower city are a fantastic discovery. 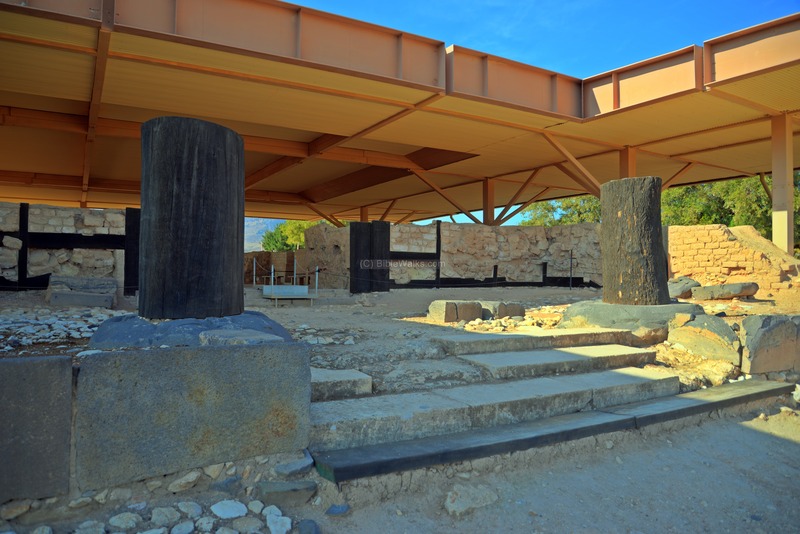 From here, you can see the remains of a large building, with a ritual dais at its center, made of smooth basalt stones, dating back to the Late Bronze Age, the surface of which consists of a single two-ton block. There is a small 'mountain' nearby, under which rest the remains of the wall that once defended the lower city. We now climb the steps to visit the upper city. These 8th-century BCE buildings were originally built over the Canaanite palace but were moved to the northern part of the Acropolis for their preservation. 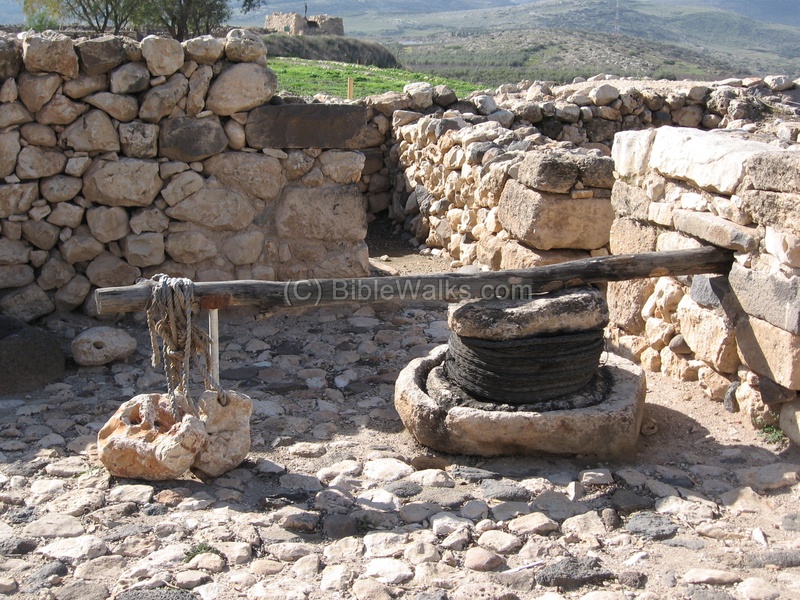 One of the structures you can see here, which is typical for the Israelite period, is the Israelite four-room house that included a small yard, where the reconstructed oil press was originally found, and three areas around the yard. People lived on the second floor, while the household chores were done in the yard. The excavated building that has two rows of pillars served as a public storeroom. 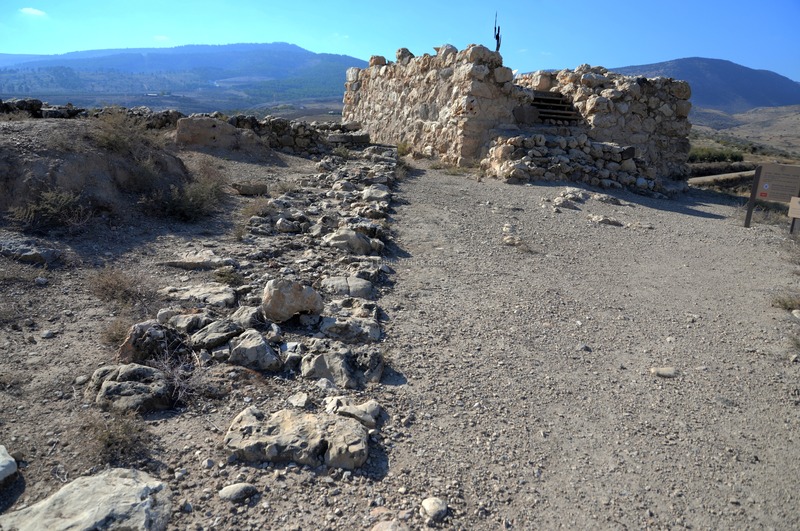 In the western part of Hazor, you’ll find a fascinating citadel with two-meter-thick walls. The remains of a wonderfully built large fortress were found here as well, attributed to King Ahab’s time. A dais from the beginning of the Israelite period has been reconstructed here too. Also, at the top of the Israelite guarding tower stands the popular Israelite guard. This remarkable gate with six rooms and two towers from the 10th century BCE is almost identical to the gates at Gezer and Megiddo. You’ll find here the remains of a casemate wall that was made of two parallel walls with a space between them divided into internal chambers by partitions. The basalt threshold of a Canaanite temple was found beneath the middle room in the gate’s southern wing. The royal palace, located west to the gate, was used by the kings of Hazor in the 14th–13th century BCE. There are two giant basalt pillars at the top of the stairs leading to the entrance, and a ritual dais was found inside. There is a throne room in the middle of the structure, which supports the theory that this was indeed a palace. Others claim this was actually a temple, a theory supported by the worship platform in front of the entrance. 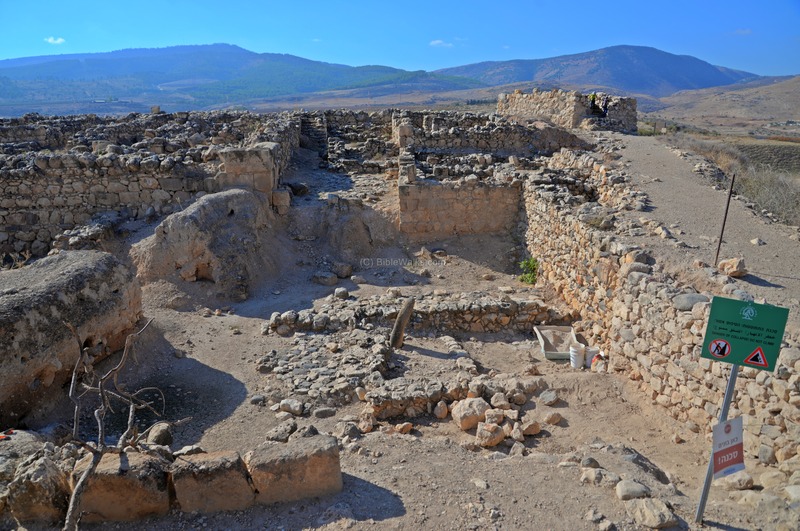 It seems that Canaanites used the same building for two vital purposes. A roof over the structure has been added to protect it. One of the absolute must-sees is the water system, the purpose of which was to supply the residents with water during droughts, instead of drawing it from the springs outside of the city. It’s made of three parts, two of which are small and were capable of supplying water only to the Acropolis, while the third is the largest. 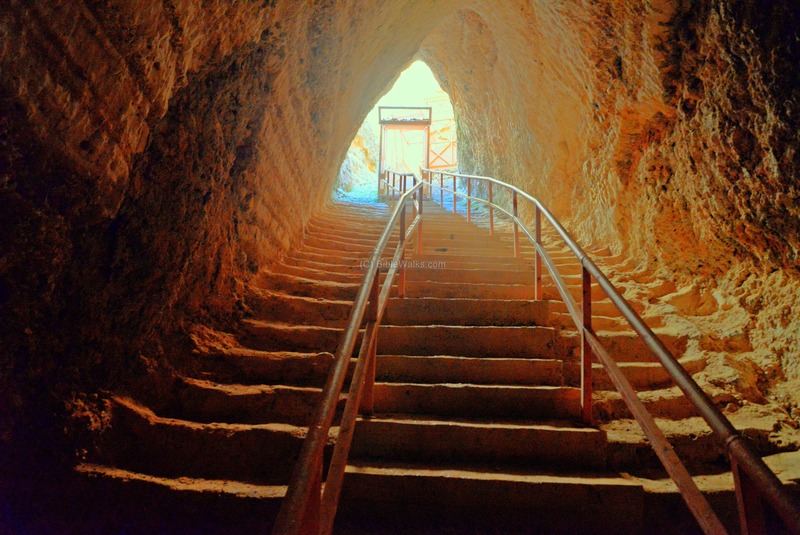 The access structure is made of large ashlar blocks, and alongside this, a vertical 45-meter-deep shaft was excavated, going all the way down to the bedrock through a 25-meter-long tunnel. Finally, the magnificent three-meter-wide steps have been carved out along the walls.